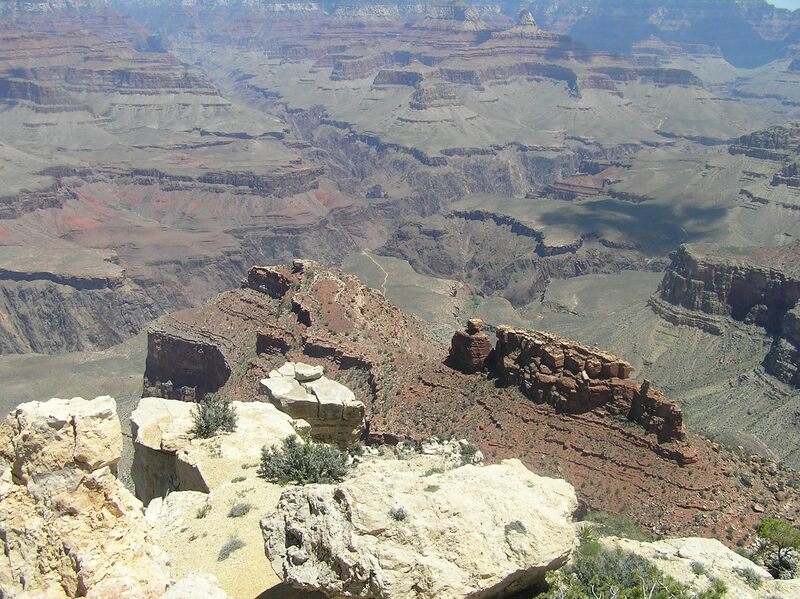 It all started a long time ago while I had a summer gig at the Grand Canyon National Park. Still the best job I ever had, I worked outside, and many times a day that summer I had views like this to keep me enthusiastic, or at times rambunctious. My favorite place to look, watch, sit, even enjoying a rare gift of silence, was at the Powell Point Memorial, a peninsula jutting out to demonstrate a near 360° panorama. Of the many times I sat there, I did a lot of thinking and imagining. Due to my not remembering if I came up with the idea at this spot, or anywhere else while working at the park that long ago summer, I’m still dedicating this drink to that inspiration. It was the desert. A place where a person can get awfully parched. And for some reason three flavors called to me: Grapefruit, Cranberry & Pineapple. For years after the combination would battle and combine for my interest, at first as a non-alcoholic beverage, and then with experiments alongside spirits and liqueurs. I am aware I did not invent this combination, and even search for drinks with these three to continue my fascination. Since I turned out to be a rum lover, I thought for sure that the drink would reach perfection with rum. As it turns out, I forgot where I first realized my enlightenment. After tasting it with tequila, I felt like I’d returned home. Shake with lots of ice, strain into a glass filled with crushed ice. 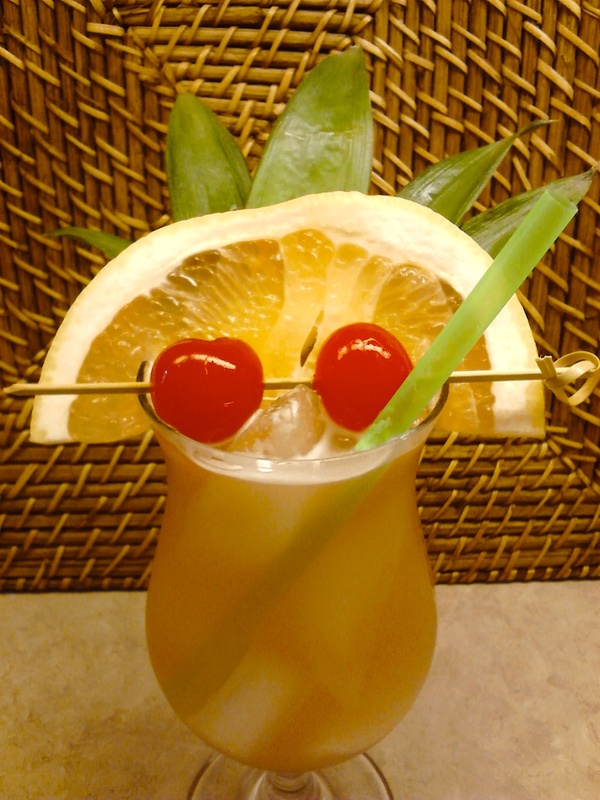 Garnish with some pineapple leaves, a half slice of grapefruit, and a couple cherries (or however you like – what I did reminds me of a Hopi sun shield). According to what I just said, what I just made, that is what you see as the image, was slightly different from the recipe. The recipe is an easier, and in a way more accurate way of doing it, and quicker as well. I muddled pineapple chunks and grapefruit to measure the amounts needed. Also, I did not have yellow grapefruit, but the ruby red (a very mild one at that – not too ruby-y), which I think is a bit less tart and acidic. That may have also altered the color of the drink. Finally, I used Hornitos Reposado by Sauza. Normally I’d make it with Sauza Silver.